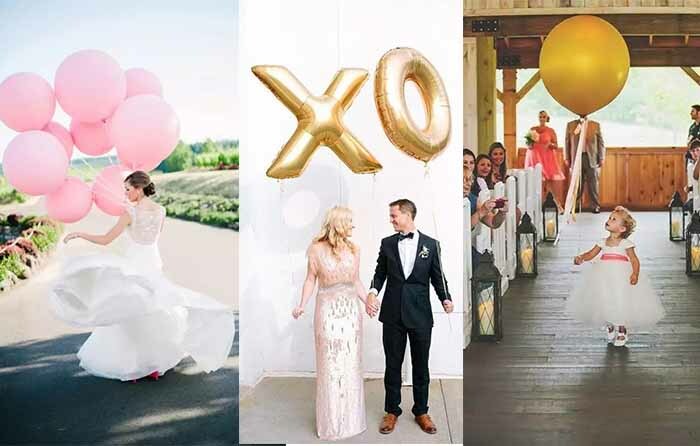 decorate your wedding venues with balloons is an amazing ideas. 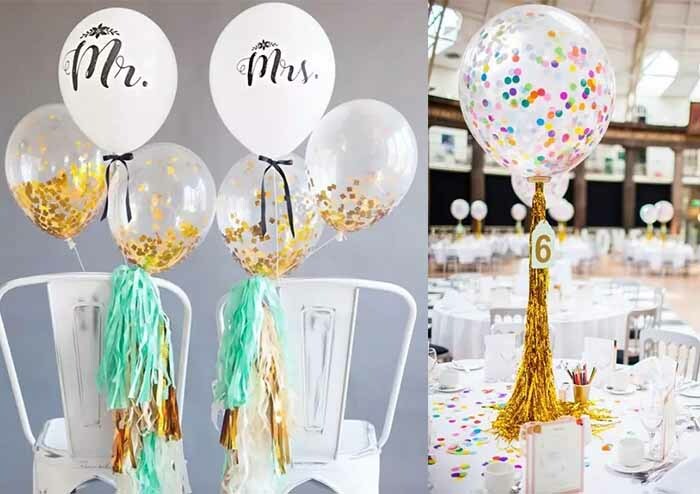 Balloon is necessary to warm up party, decorate your wedding party with balloons, with BALLOON WEDDING INVITATIONS your wedding party will be the coolest party in the life of your guests. 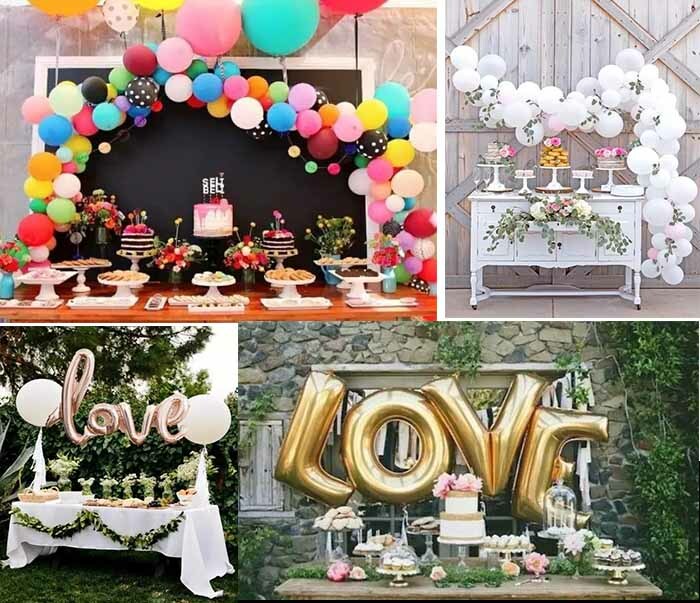 And it is cheaper to decorate wedding venues with balloons; you can spend more extra money on other more important parts that your guests most memorable like food, DJ or venue. 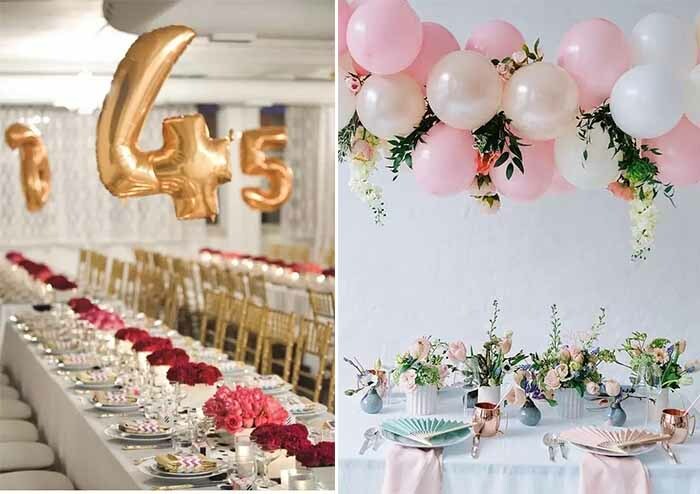 Having said this, you may thinking, well we can have a try, but believe me after looking at the following ball decoration from real wedding, I am sure you will decide to decorate your wedding with balloon at once, it really gorgeous! 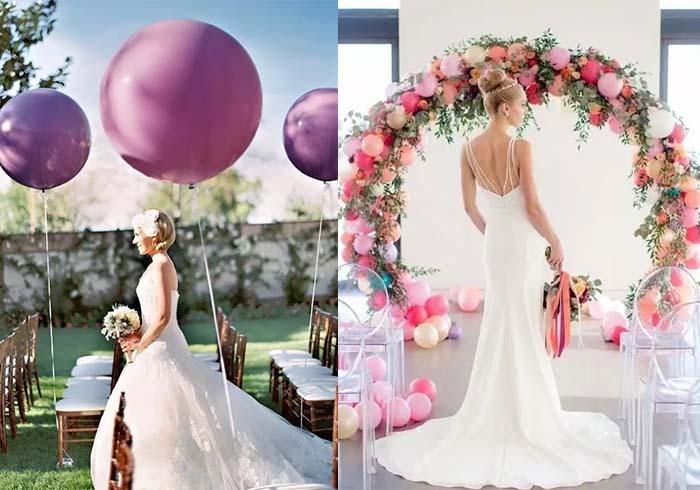 You’ll get a fantasy wedding back drop with lots of balloons even if on the blank white wall. Decorated walking aisle with same color or matched color of your wedding color balloons, you’ll look like in the heaven, so easy to get a special and unique wedding aisle. 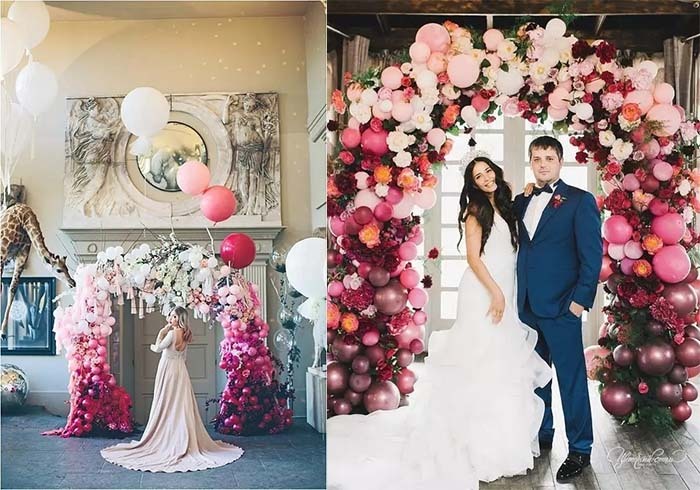 Balloon together with fresh flowers and leaves, a stunning vivifying arch is there for your wedding; the arch can be in any your favorite color, even superb ombre rainbow color. 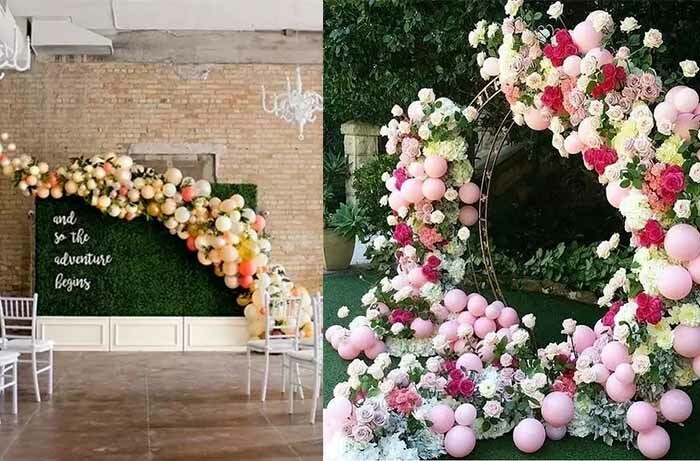 A circle decoration made with big balloons, flowers and plants, grass and trees must be the unique wedding background. A special balloon in Number shape hand upon the table guide your guest find right place quickly. 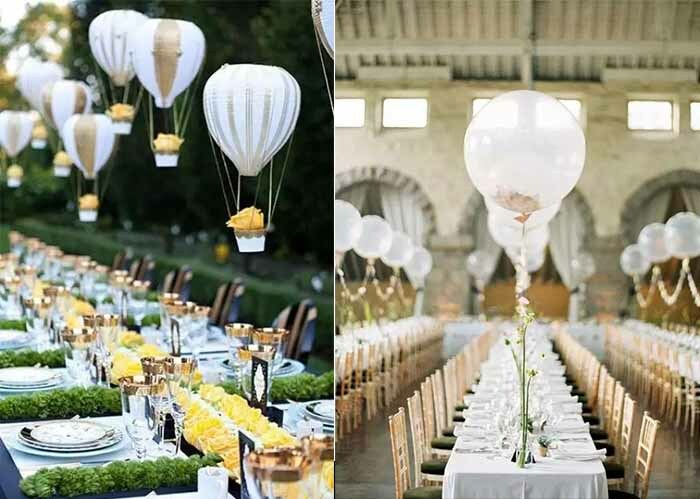 About wedding tables, with floating balloon decoration, not only save money but also save more rooms. 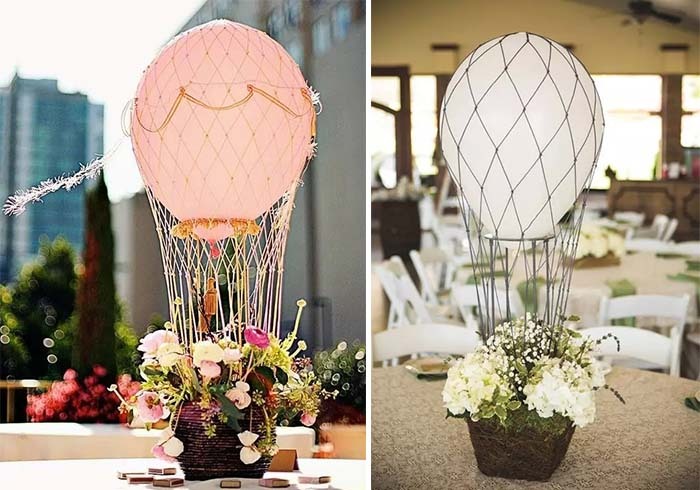 Transparent balloons with colorful scraps of paper inside and tassels are gorgeous decoration of wedding centerpieces and chairs at the party. 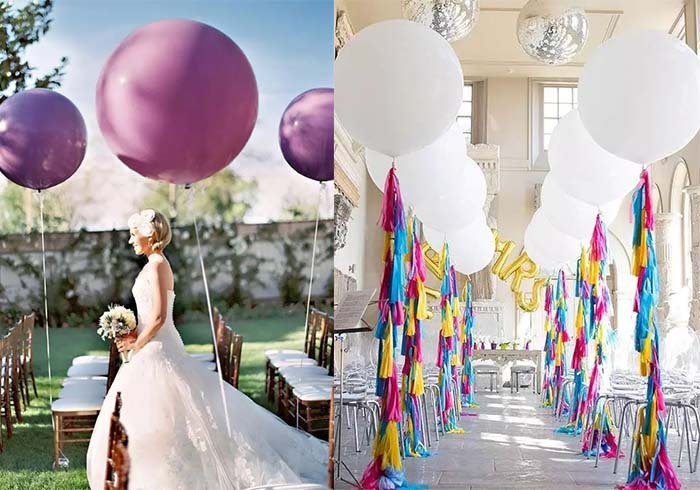 Instead of bouquets, grasp a bunch colorful balloons; you must be the focus of the whole party. 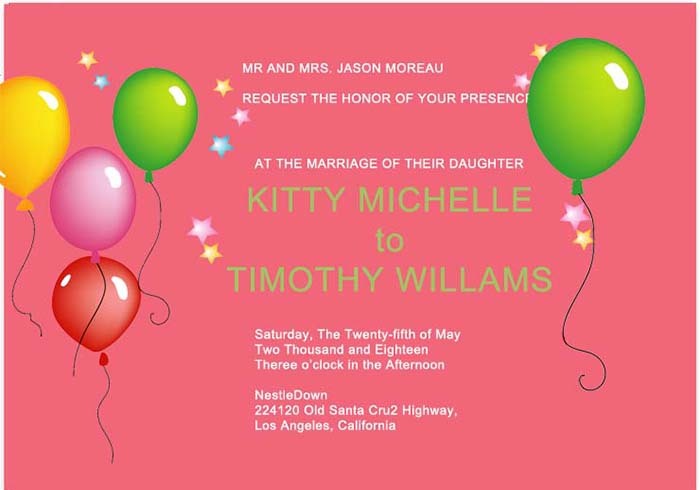 And image that how cute when you pass balloons to your bridesmaids instead of flowers at the tossing part. 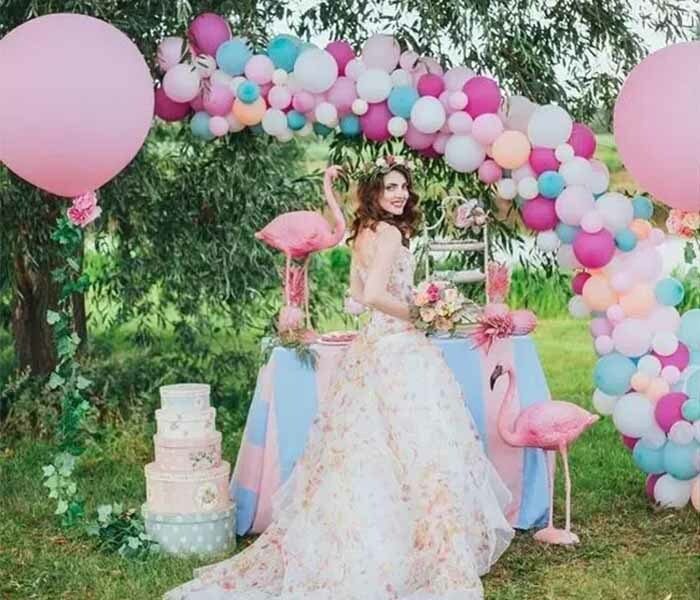 This entry was posted in wedding, Wedding Themes and tagged balloon ceremony area, balloon wedding decoration, balloon wedding invitations, decorate wedding with balloons, happyinvitation, wedding decorations on October 15, 2017 by happyinvitation.